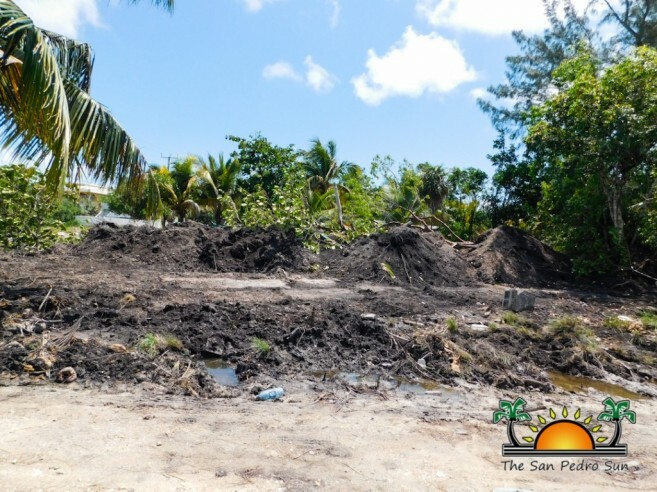 A Maya mound, located in the San Pablo neighborhood south of San Pedro Town, was reportedly disturbed on Sunday, May 14th. The mound was once known to have a palapa, a Stela replica, and at one point, even picnic tables for residents to use the area as a park. Although investigations revealed that the mound is on private land, there has been public outcry to stop further development of the site, and instead, preserve its remains. 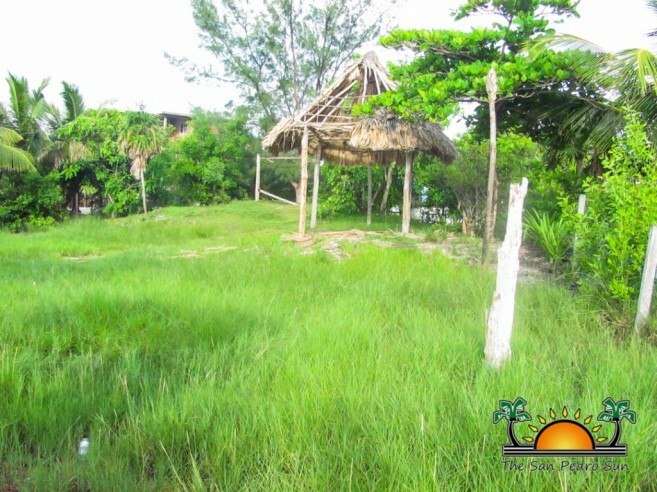 The San Pedro Sun visited the site on Tuesday, May 16th, and noted a significant amount of Maya remnants scattered around the property. 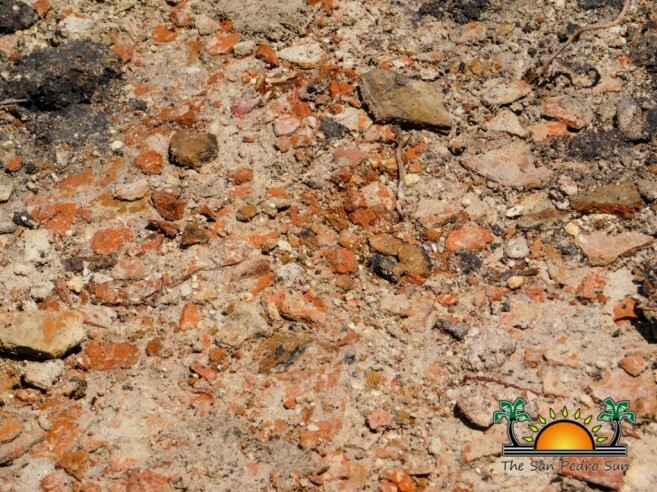 Both large and small pieces of red, black and beige pottery shards, plaster, and chalices were found, alongside pieces of conch shell. 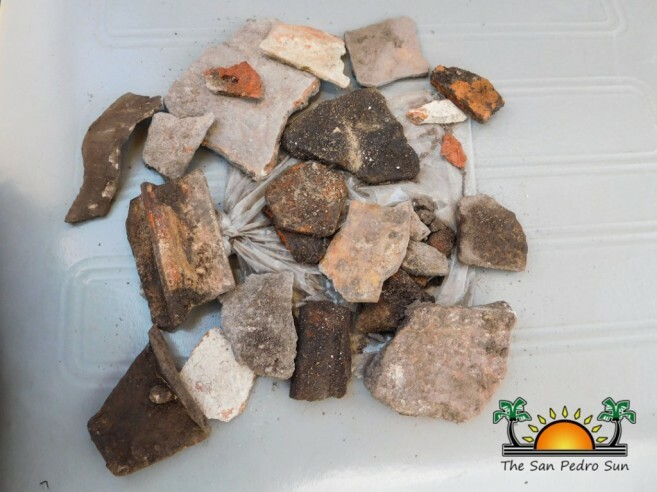 Jan Brown, Chairwoman of the Marco Gonzalez Maya Site, also inspected the area and explained the archaeological significance of the historical site to The San Pedro Sun. “Mother Nature has changed this whole area over the centuries. This is a young site, but it is probably older than the year 1,000. You can tell the site is historic because of its black dirt, which is called anthropocentric soil. The mound was a small trading village with boat access to water. The Maya who inhabited this site made salt in large pottery bowls by placing salt water and boiling it down. Then they broke the edges of the bowl, and traded it,” said Brown. She said that years ago, the site was seen by the Institute of Archaeology in Belize (IA), and Dr. Elizabeth Graham, but it was never registered. In 2010, The San Pedro Sun published an article (Volume 20 Issue #26) indicating that the site, which was previously owned by the Government of Belize (GOB) and protected under the laws of Belize, was sold the year before. Photo of the “Maya mound” in 2010, a parcel of land located south of San Pedro in the San Pablo. Minister of Tourism and Civil Aviation, Manuel Heredia Jr., told The San Pedro Sun that it should have never been sold in the first place. “I called the present owner to talk to him about the sale…although the present owner is at liberty to sell the piece of property, all future owners will not legally be able to use the parcel of land for any construction development that would interfere with the existing mound located on the property,” he said back in 2010. Brown hopes that relevant authorities will issue a stop order. “Damage has already been done, and this is disheartening to me. I have a passion to preserve history, especially of the Mayas who inhibited this island. I just hope this is not another lost cause,” said Brown. Mayor Daniel Guerrero says that the San Pedro Town Council (SPTC) does not have the jurisdiction to issue a stop order. 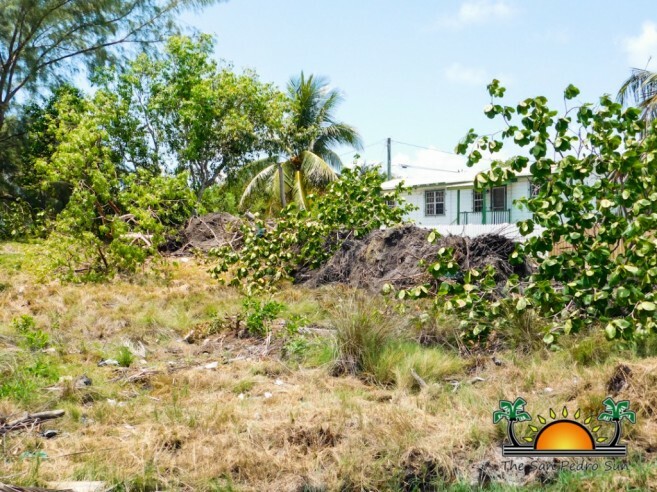 However, he indicated that the property owner sought the help of the SPTC, but he refused. “This was a very touchy situation, so I decided that the SPTC will not participate in clearing that area. Our real estate brokers sold it, and because it is still considered private property, I do not know what the Institute of Archaeology will do,” said Guerrero. The SPTC confirmed that parcel number 1522 belongs to man with a Ladyville address, and that he has been paying property taxes since 2010. Officer in Charge of the Coastal Executive Unit, Assistant Superintendent Henry Jemmott, confirmed that the Department of Environment (DOE) is involved, and had asked the San Pedro Police Department for assistance. Jemmott noted that around midday, on Tuesday, May 16th, police visited the mound, and began their investigation process. He stated that the DOE will continue its investigation, and that they will be coming on site to inspect the area. As it is alleged that the area will be developed into an apartment complex, the IA are the only ones who can issue a stop order. The San Pedro Sun contacted Director of the IA, Dr. John Morris, but he was unavailable for comment. We will update our readers as more information becomes available. Photos:San Pedro’s Art in the Park!